If you live in L.A., you are probably already well aware of the major architectural “gems” of the city. I could argue that some of the most beautiful buildings and landscapes in North America can be found right here in L.A.. The Hollywood Bowl, the Griffith Observatory, the Walt Disney Concert Hall… But the beauty and inspiration of L.A. doesn’t stop with these landmark locations. There are so many hidden architectural gems all over L.A., just waiting to be discovered. So much inspiration can be drawn from these little-known locations, so we are looking at them in this blog series called the “Bucket List”. This week, I’m taking a look at the former Nike Missile Site, just off Mulholland Drive in the San Vicente Mountain Park. A few weeks ago, I went to the National ASLA Conference. While talking to one of the presenters, they said something that really grabbed my attention and imagination. She talked about the importance of walking. She told me how simply walking allows her to wake up to the beauty of the environment and opens her eyes to the potential of that natural beauty. Walking helps her see the tactile relationships between natural and artificial elements that we can easily miss in our busy, day-to-day lives. Her point of view was an inspiration to me, and cautioned as to how disconnected we can become by designing the natural environment from the regular confines of our interior environments. I think that, as landscape architects, we need to stay connected with nature in order to bring a more globally enriched and environmentally responsive approach to our work, no matter the scale and project type. The Nike Missile Base located in the San Vicente Mountain Park is the perfect refuge for reflection such as this. At the height of the Cold War, 16 Nike missile radar stations were placed all over California to act as a last line of defense against Soviet aircraft. 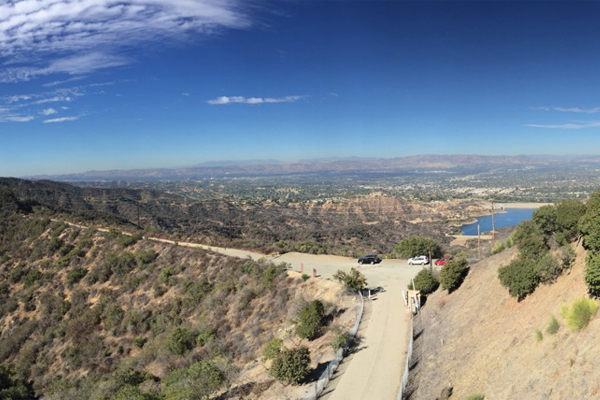 The Nike Missile Base located in the San Vicente Mountains, called LA-96C, was located at the highest point in the city, allowing the army full view of the Pacific Ocean, the city, and the San Fernando Valley. These missile bases were constantly on high alert, looking for any potential atomic threats coming in from the Pacific. 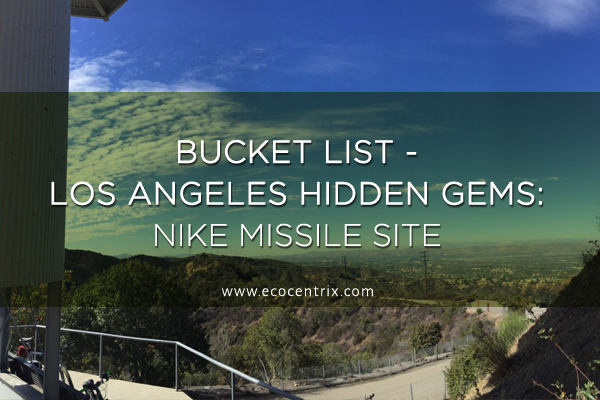 Thankfully, there was never a Nike missile launch at any point during the Cold War and, as the threat started to wind down, these Nike missile bases were decommissioned. In the 1990s, conservation workers saw the potential of the former missile site to become a part of a hiking trail and, after years of cutting through red tape, they managed to get the base into a safe condition for visitors in 1996. 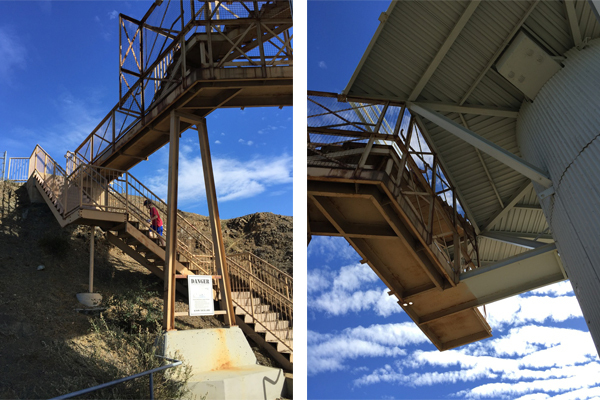 It is now part of a 10 mile, popular hiking trail that offers people unmatched views of Los Angeles from the refurbished, though now non-functional, tower. The site, now lined with picnic tables and restrooms, is used as a waystation for hikers and bikers looking for a break on their trek through nature. The Nike Missile Site is an absolutely perfect place for a landscape architect to sit back, relax, and observe the surrounding foliage and how the base was repurposed. Any artist can benefit from slowing down and seeing the potential beauty of untapped natural and artificial resources. In the 1960s, who would ever have guessed that a monument to national defense and war would someday be a place of great beauty and relaxation? Visionaries, that’s who. Artists, landscape architects, and conservationists who saw the potential of this old industrial missile site and made it into something that exists in a harmonious balance with the nature surrounding it. You can create beauty anywhere, it’s all in how you see things. If you see the connection between recreation/vacation and slowing down your everyday life, you will be able to create better architecture. As a landscape architect, we take this kind of holistic approach to our work. 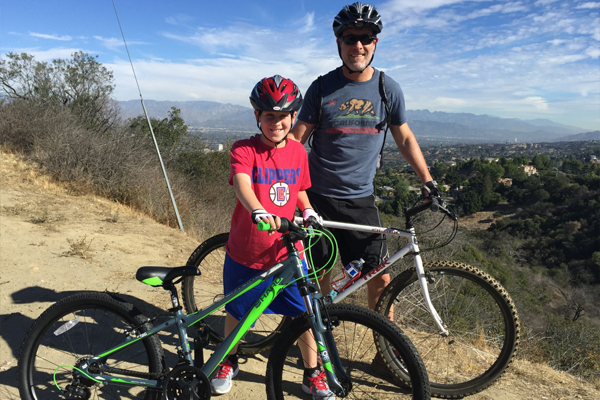 You only need to take a hike or bike trip to the Nike Missile Site to find a perfect example of this in the natural beauty and possibilities of the San Vicente Mountain Park.